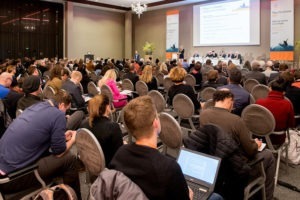 Play the Game is a biannual conference addressing a number of challenges to modern sport, such as corruption in sports organizations, match-fixing, doping, unsustainable mega-events and the need for more active sports participation policies. Play the Game 2017 “Riding the waves of change” gathers almost 450 journalists, scientists and sport officials on the 26-30th of November in Eindhoven, the Netherlands. EU Athletes Policy Officer Paulina Tomczyk has taken part in the panel “Reform in sport: An inside job or an outside intervention?”, highlighting in the speech the fundamental role of good governance in sport for athletes and the need for their equal participation in the reform process as well as the risks of uncontrolled and unconditional “autonomy” of sport organizations brings. In the session “Athletes and Anti-Doping: Privacy and Participation” Paulina has also presented “Study of Monitoring Practices of European National Anti-Doping Organizations (NADOs)”. This research project, completed by Paulina together with Walter Palmer and Jeff Reymond, highlights poor reporting practices (low availability of the annual reports and fragmented data included) of European anti-doping organizations. More information on the Play the Game 2017, including photos and videos from the sessions, is available on the website. 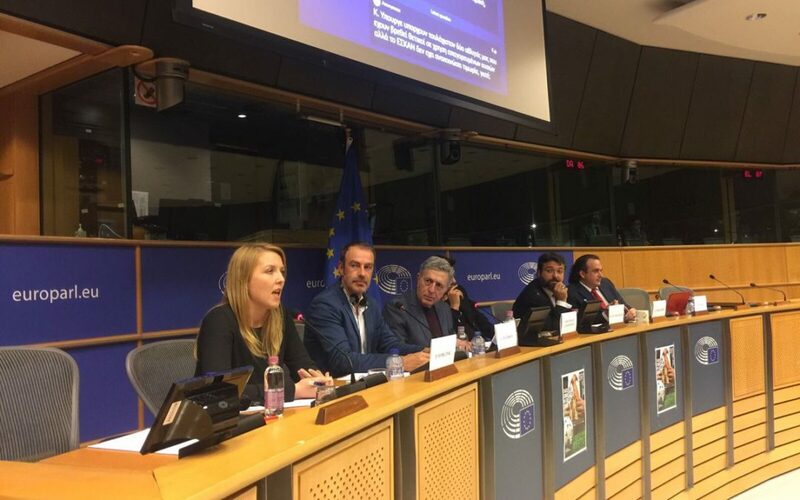 The event organized by the Greek MEP Stelios Kouloglou has taken place in the European Parliament in Brussels on the 7th of November. The conference has gathered many interesting speakers including representatives from the European institutions, as well as the research and sport, in order to discuss the problem of corruption, match-fixing and doping. 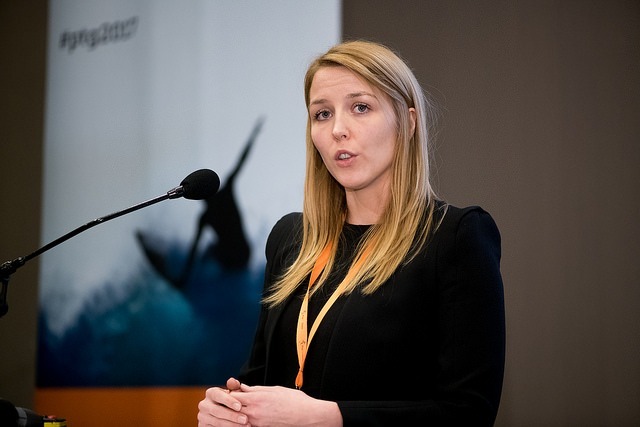 Our Policy Officer Paulina Tomczyk has taken part in the panel and had an opportunity to highligh the importance of good governance in sport, the role of athletes in reaching this goal and the issues related to the specificity and autonomy of sport in this context. 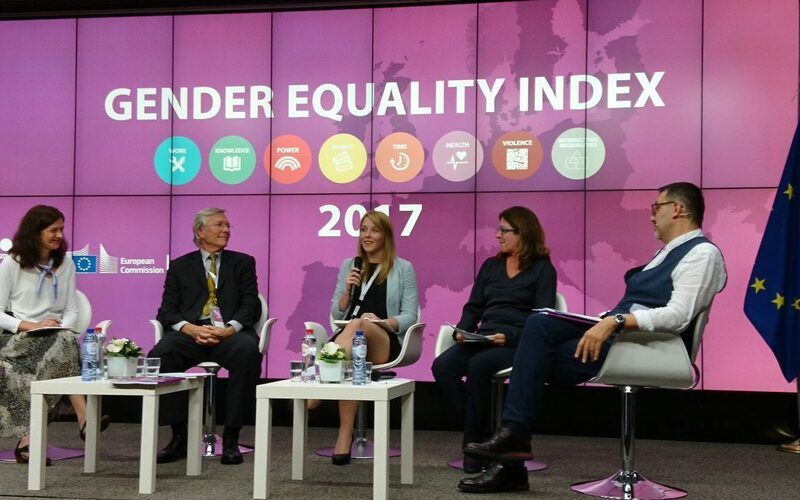 The Conference for Gender Equality Index 2017, the document prepared by EIGE (European Institute for Gender Equality) and outlining the gender gaps in different areas has taken place in Brussels on the 11th of October 2017. 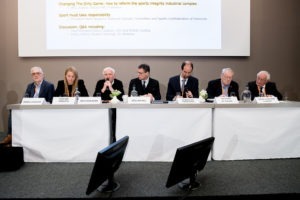 The Index included for the first time data on decision making in sport and our Policy Officer Paulina Tomczyk participated in the event to comment on the results. Across Member States, the representation of women among the top decision-making positions in sports organisations remains very low. On average in 2015, only 14% of all positions were occupied by women, ranging from 3% in Poland to 43% in Sweden. During the discussion panel on decision making in sport, research and media, Paulina pointed out that gender equality in sport is not possible without the equal and fair treatment of elite women athletes, especially when it comes to their status, working conditions and the labour rights, including pregnancy and maternity protection. What is more, EU Athletes believes that the EU and the Member States need to be more proactive in supporting the gender equality in sport to make sure that the sport governing bodies introduces real changes in their governance. EU Athletes considers gender equality as one of its priorities, which is also supported by our work within the Erasmus+ “Supporting Women Athletes from Europe” (SWAFE) project. We are happy to say that thanks to a real commitment to improve gender balance, we currently have three women represented on our Executive Board (38%). More information about the Gender Equality Index 2017 and the Conference is available here. 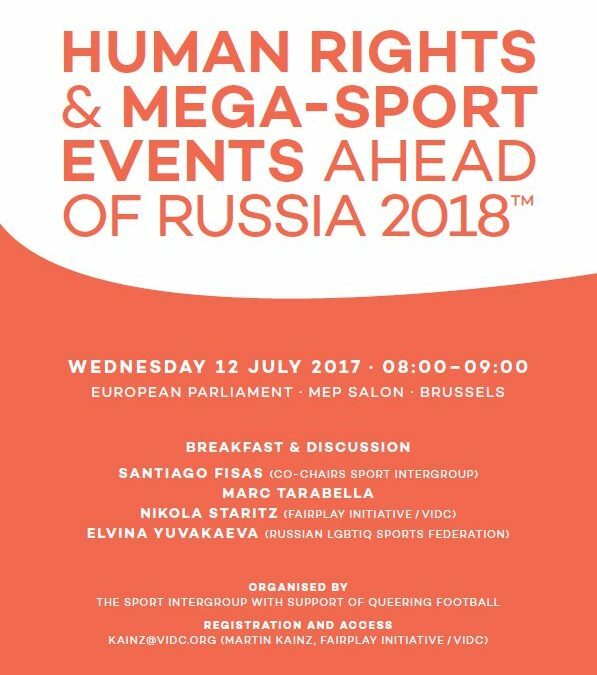 The meeting was hosted on the 12th of July by the Sport Intergroup as a part of “Queering Football” project, with a focus on human rights ahead of 2018 World Cup in Russia. The event has gathered MEPs, representatives from the Commission, FIFA, EOC and NGOs and was an opportunity for interesting discussions on the topic. EU Athletes was present to highlight the importance of respecting athletes’ fundamental rights, which must include the labour rights of professional players in the context of their participation in sporting events. EPAS provides a platform for intergovernmental sports co-operation between the public authorities of its member states. It also encourages dialogue between public authorities, sports federations and NGOs. This contributes to better governance, with the aim of making sport healthier and fairer and ensuring that it conforms to high ethical standards. 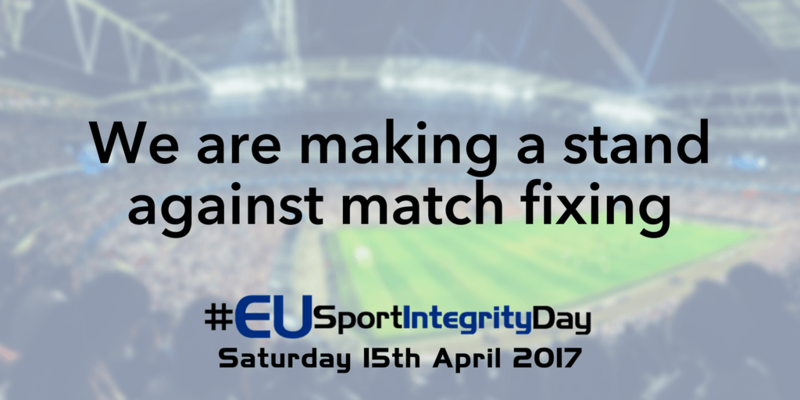 Like every year on the 15th of April, this Saturday we will be showing our commitment to tackle match fixing in sport with the #EUSportIntegrityDay. Match-fixing is widely regarded as one of the major threats to sport. It undermines the values of sport such as integrity, fair play, respect for others and have a negative impact on the life of people involved in sport. Tackling match-fixing requires strong and organised cooperation between the different stakeholders (sports organisations, police, governments, supporters, NGO’s, coaches, athletes themselves and others). If this issue is not properly addressed, organized sport will lose its credibility and support from fans.